Apartment Description: Conveniently located off of JPA close to Grounds, the Corner and West Main! Hardwood flooring, community pool and laundry on on site. Off street parking included. Incredible mountain views from your spacious balcony! 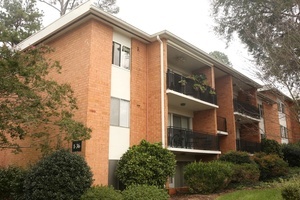 Overall Property: 1800 JPA features a high-rise tower and garden condos located near UVA.